The 15 day Heart-full Living program will activate your Heart Centre, your Third Eye and other mind centres. As a result, you will be introduced to a new way of being, thinking and doing. We have become accustomed to thinking our consciousness is generated in our head. In fact, our awareness is spread throughout our our whole neurology – and even outside our body. What’s more, we are not generators of thought but also receivers of both thoughts and sense impressions. As our self awareness has evolved, our heads have become ’loud’ and mask out thought forms from elsewhere in our body. This short and introductory course will open your mind, or your minds, and give you a new sense of awareness about our true nature as spirits on a human journey. NEW : now comes with bonus visualisations to make you more attractive, soften tense situations, manifest instantly and bring more money along. Are you ready for 15 days of trance-formation? In just one week, you will form a new relationship with each of your main chakra centres – from the root right up to the crown. After the first week, there are some activations and bonus visualisations to take you into a new level of awaken-ness. You are given access online to the full program once you order has been processed. You start with a brief self-assessment, just answering seven easy questions. For the first seven days, you receive an energising symbol and listen to a short audio visualisation. 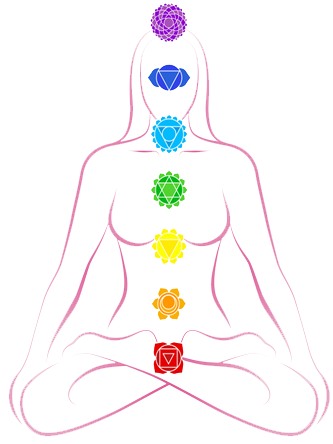 On the 8th day, you will enter an new phase of being called the Unified Chakra. On the 9th day, your Alpha and Omega chakras will be activated. Throughout the 15 days, you have email access for support included your investment in this programme. This is a fifteen day program that cleans, balances and energises your seven chakra centres in both a heart-full, mind-full and delight-full way. In just over two weeks, by taking around 15 minutes, or less, out of your day, you will come to know your mind – and your minds – in a whole new way. The Two Mind Transmutation – manifestation magic! You will get full access to all the resources upon purchase but we recommend that you listen to one visualisation a day.